Although in some cases, graffiti can be seen as art it can also been used to impose criminal damage. In the recent years local councils have been spending thousands, if not millions on graffiti removal. Apollo Cleaning Services offer a brilliant service at an impeccable rate. 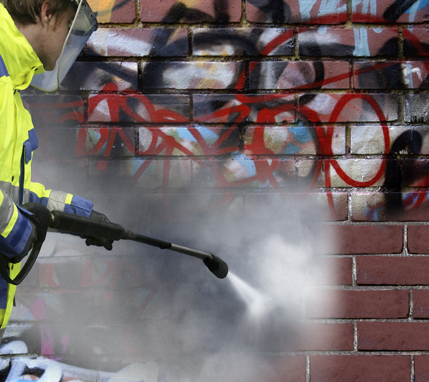 Apollo uses specially mixed formulas that are strong enough to break down the paint but not strong enough to harm the local environment, of course the graffiti removal is then finished with a full jet wash with aftercare finish.